When it comes to building up a Jeep, bigger tires are typically a big part of that equation and the bigger you go, the more concern there is regarding axle strength. Because of this, there have been a lot of questions regarding what axles will be coming on the all new Jeep JL Wrangler and the following is a list of what you can expect to see on a Rubicon, Sahara and Sport. Or at least, this is what I know as of now. The flagship JL Wrangler is the Rubicon and to help make it more capable than ever before, it will come with an all new Dana M210 axle up front and a Dana M220 axle in the rear. Unlike any of the other JL models, these axles will measure an impressive 68" wide making them 1.5" wider than a Sport or Sahara and a whole 2.5" wider than what came on the JK Wrangler. I should note that full width axles are typically 68.5". For those of you who want the luxurious options that a JL Wrangler Rubicon offers but don't really need it's impressive rock crawling capabilities, the JL Sahara is a perfect option for you and it comes with a Dana 186MM front axle and a Dana M200 Rear Axle. Unlike the JL Rubicon, these axles measure 66.5" wide which still makes them 1" wider than what came on the JK Wrangler. JL Wrangler Sports will now come with a Dana M186 front and Dana M200 rear axle. Just like the JL Sahara, these axles will also measure 66.5" wide. Available as an option, the JL Wrangler Sahara and Sport will also be available with a Dana M220 rear axle which comes as a part of the limited slip differential. While it's not an axle, it should be noted that JL Wranglers that are ordered with the optional Selec-Trac All Wheel Drive system will have front axle shafts that come with CV joints. This is done to help eliminate what some refer to as, "crow hopping" and provide smoother turning. Again, this information is based on what I know as of today. You shared an image of the Selec-Trac on Instagram, if I recall? That kind of "startled" me. Just a heads up, I have verified the axle information and had made a few minor changes to what come on the rear of a Sport and Sahara. I have not been able to verify the optional axle option on a Sahara but will do so as soon as I can. Do we know how these will stand up to the current selections we have our JK? It appears as if these are all new. I was a little concerned when I saw the new rear axle called a Dana 35. I blew one of those up down in Kentucky on a particularly tough trail. Yeah I know, I shouldn’t of had that in there anyways. It was on a 92 YJ. I did get a ford 8.8 as a replacement. Not all bad . YJ too. After it blew up a second time, I did a LP 9"
It’s amazing how bad they were. I was locked on 33’s. What you've seen is bad info being put out on the internet. The Sport and Sahara will come with Dana M200 rear axles standard and they have a ring gear that measures 7.87". A Dana 35 has a ring gear that measures 7.62" and I think people made the mistake of calling the standard JL rear axle a 35 due to the "similar" ring gear size. That being said, the M200 is NOT a Dana 35 and it does NOT have c-clips. 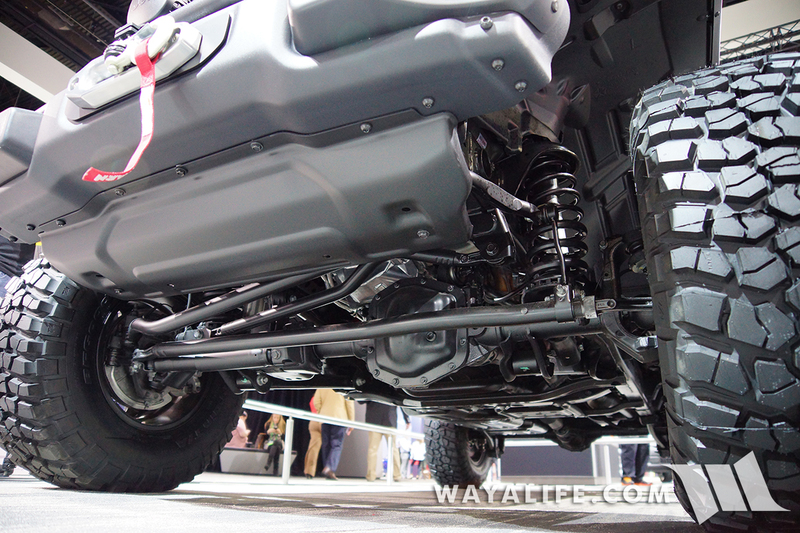 Of course, the Rubicon's will come with a Dana M220 rear axle and its ring gear measures 8.66". An older Dana 44 had a ring gear that measured 8.5" and the next gen JK Dana 44 measure 8.9". I wonder if the Rubicon will still have rear axle shafts of two different lengths?